Hard water is softened by removing the calcium and magnesium it contains. When hard water passes through the softening system’s resin bed, the calcium and magnesium (hardness) ions are removed through an ion exchange process, so only softened water passes through to your home. Once the resin bed fills up with hardness ions, it must be regenerated (cleaned). Salt is typically used in the regeneration process and restores the resin to a “clean” state so the ion exchange process can begin again. From multi-tank systems powered by the energy of moving water to a more traditional approach, Kinetico covers all your options. 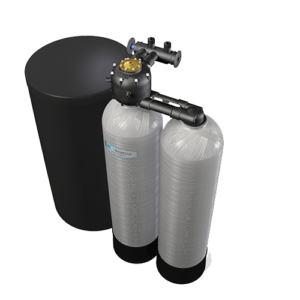 Your local Kinetico water expert will work with you to choose the water softener that’s right for you. 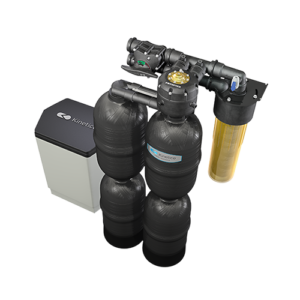 High-quality softening resin and generous system capacity mean your water issues will be history. And so will any hassles or inconveniences you may have experienced with other water softeners, thanks to Kinetico’s patented non-electric control valve and on-demand regeneration. What you’ll have is an unlimited supply of soft water.